Home » San Marzano Tomatoes – Simply the best! What makes San Marzano Tomatoes so great? At the moment it seems that every celebrity chef is talking about them and every Italian recipe requires them. But what do we know about San Marzano Tomatoes and why are they so special? 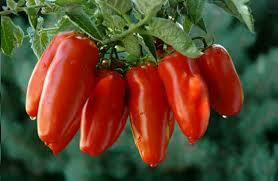 Here’s our top 6 San Marzano facts and our favourite simple sauce recipe using this much revered fruit. 1. Real San Marzano Tomatoes are grown in the fertile valley off the slopes of Mount Vesuvius, an area south of Naples in the Campania region of Italy where the rich volcanic soil and climate give them their unique blend of acidity and delicious sweetness. 2, They are coveted for their firm, meaty flesh, deep red colour, easy to remove skin and low seed count. You can recognize them by their oblong shape ending in a point at one end. 3. The San Marzano crop is very delicate. The tomatoes must be hand picked at the peak of their ripeness. 4. Not all brands labeled San Marzano Tomatoes are the real deal.Watch out for imposters! 5. Authentic San Marzano Tomatoes are grown under specific and strict rules and will have the initials ‘DOP’ ‘Denominazione d’Origine Protetta’ on the tin as well as the name ‘Pomodoro San Marzano dell’Agro Sarnese-Nocerino’. DOP stands for ‘Protected Designation of Origin’. This certification ensures that products are locally grown and packaged. And It’s also a guarantee that the food was made by local farmers and artisans, using traditional methods. 6. The great flavour and texture of a San Marzano Tomatoes makes it ideal to cook with. 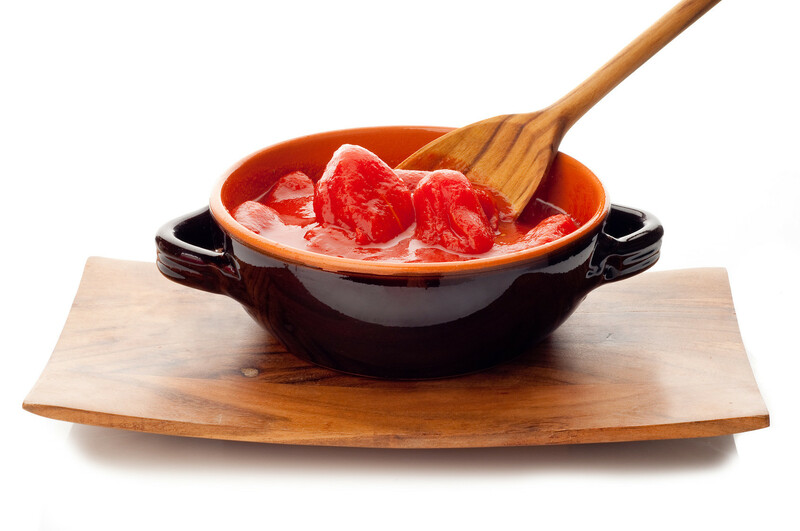 It is the only tomato that can be used to make a true, authentic Neapolitan pizza and is considered to be the best tomato in the world to use in a sauce. Add the tomatoes and a good pinch of salt. Gently break the tomatoes up a little with the wooden spoon. Serve with spaghetti or short pasta such as penne, sprinkle with Parmesan and extra basil to decorate.